Food that is past its best before date is still safe to eat, although it may have a different texture or flavour. The Richmond Food Bank’s policy is to dispose of any items that are two years past their best before dates (unless the items are damaged (rusty, severely dented) in which case we throw them out immediately). While they are likely safe to eat, the manufacturers cannot guarantee that the nutritional composition remains stable. It is the Richmond Food Bank’s policy to dispose of items immediately once they are past their Expiry Date. These are a set of numbers and letters, and are used by shipping companies and manufacturers to track their products. 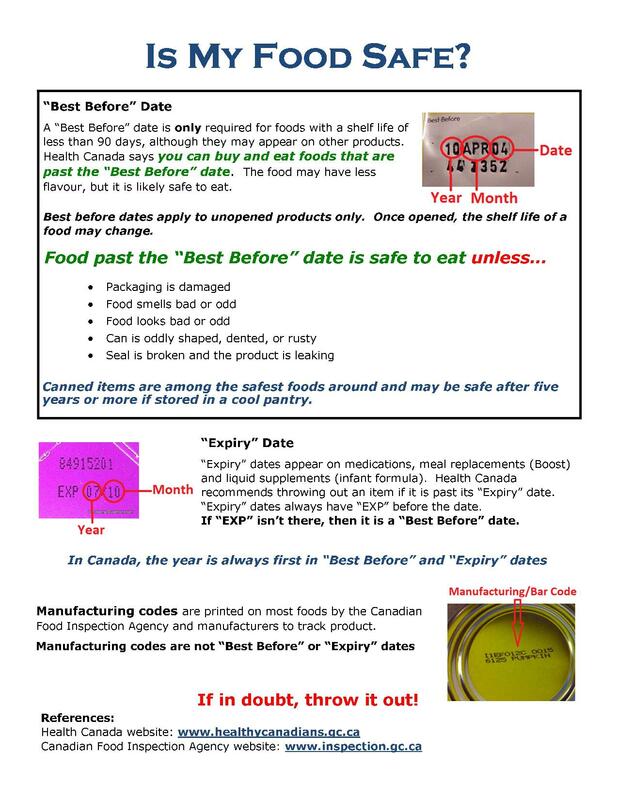 They are not indicative of the best before dates or expiry dates. We hope that this is helpful. Please Contact Us if you have any questions.